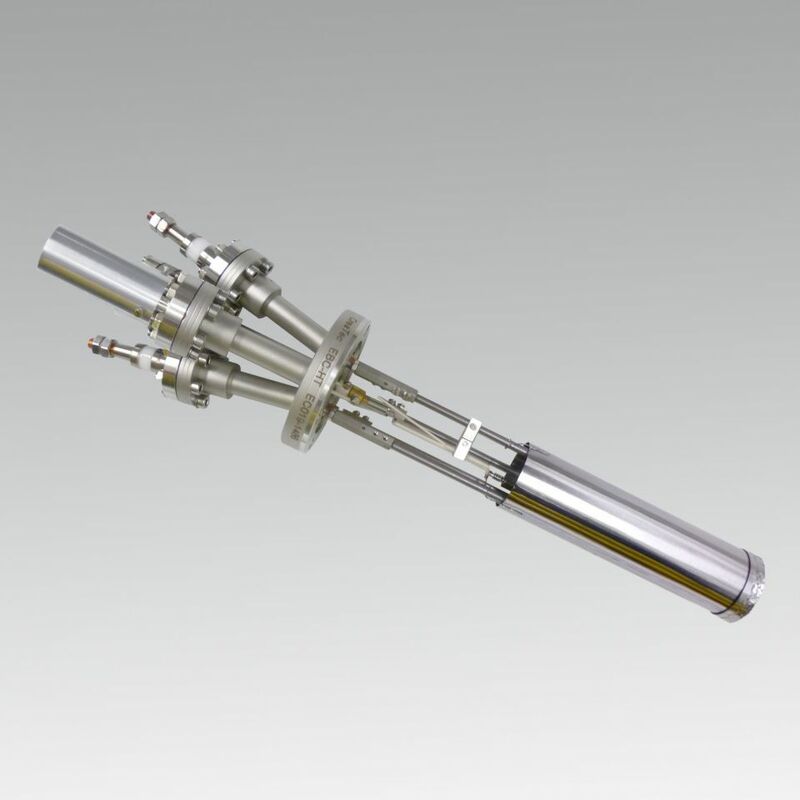 The EBE-C (Electron Beam Evaporator - Carbon) is used for carbon doping in MBE applications. A pyrolytic graphite rod is heated by electron bombardement to a maximum temperature of 2000°C to evaporate elemental carbon of highest purity. The design prevents any ionized species leaving the source. The flux regulation is achieved by adjusting the emission current.